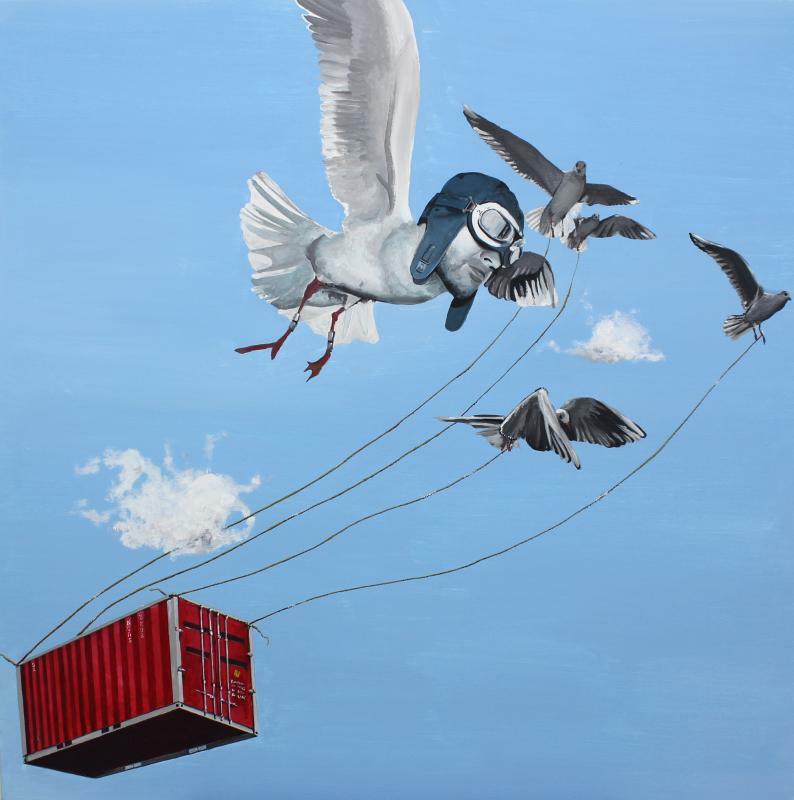 “Containerland” is an artistic project that emerges about the artist fastination for maritime containers like a global economy metaphor. Mass consumption, global commerce, heavy industry development and contamination are some of important points present in Lalo’s pictorial work. With surrealism irony or mechanical and repeated images of pop-art stile, the artist propose us a reflexion about overexploitation of the planet to service of consumerism. Without forgetting the figurative sense of this series, we can see some connections with street-art through different techniques such as graffiti or stencils, always with strokes of surrealism as a final concept of the canvas. We can observe some references to other contemporary artist like Pierre Mondrian, as well as other great Spanish masters like Diego Velazquez or Francisco de Goya.Can “the dream of the reason” rest on a container?Can “La rendicion de Breda” show between two metallic monsters?the answer is in “Containerland”, a Lalo’s artistic project travelled to Taipei. Big containers returning to the country that was “the world factory”.